Mark your calendars for the WOTC Singapore 2019 — September 2019, . Check back soon for the registration, agenda, speaker and sponsor details. To learn more about how to you can be part of this event, contact Allison Cohen at acohen@thechannelco.com. The WOTC Singapore site is currently under development. Please check back often for content updates. 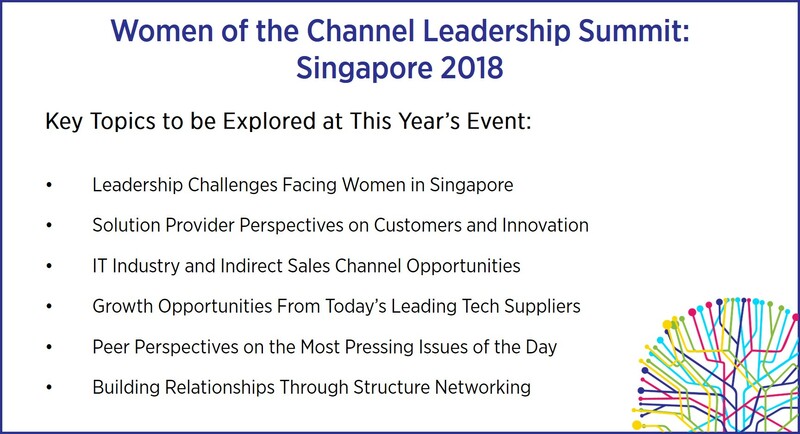 For the first time, we are bringing the Women of the Channel Leadership Summit Series to Singapore. Attracting attendees from across the globe, these one-of-a-kind conferences offer women executives, as well as early-career professionals, an opportunity to advance their skills, connect with peers and be inspired by the women making a significant impact on the IT channel today. Attendees leave the WOTC events empowered and armed with the essential tools for personal and professional growth.